Celebrate Black History Month in Raleigh, N.C.
Feb. is recognized as Black History Month, in remembrance of important people and events in the history of African Americans in the U.S. The state of N.C. celebrates this history with exhibits, films, festivals and more. Plan your visit to Raleigh, N.C., and celebrate this special time! On Sat., Jan. 30, head to the North Carolina Museum of History for this kickoff event. The annual festival celebrates Black History Month with more than 75 musicians, storytellers, dancers, authors, artists, chefs and more. Learn more and go like a pro with these tips. Edenton Street United Methodist Church holds an annual concert and youth choir festival. The evening of Feb. 5 visitors can see the performance, led by one of the most compelling United Methodist musicians of our day, Mark Miller, titled "Joyful Resistance and the Soul of African American Sacred Music." 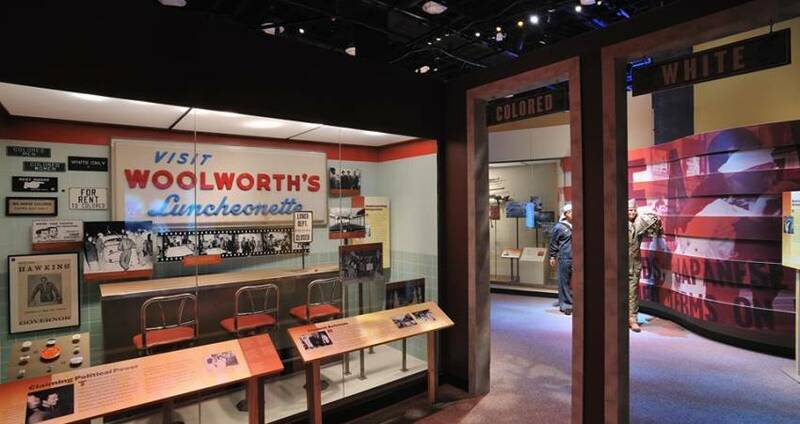 The North Carolina Museum of History is holding several special programs to celebrate Black History Month. On Feb. 7, the museum will showcase a film: "The Wilmington Ten," which is about civil rights activists who were wrongly convicted for an incident in 1971 and sentenced to prison. Dr. Reverend Benjamin Chavis was one of the 10 and will be onsite to partake in a panel discussion after the film. Throughout the entire month, the museum will lead tours highlighting aspects of permanent exhibits focused on the contributions to N.C. made by African Americans. And check out the temporary "Hey America!" Eastern North Carolina and the Birth of Funk exhibit, illuminating the roles of African American musicians from eastern N.C. who played prominent roles in the creation of funk music. Located at North Carolina State University, the African American Cultural Center promotes awareness of and appreciation for the African American experience through activities and events that enhance academic excellence and strengthen cultural competence for surrounding communities. Visitors can see the African American Library and the Cultural Art Gallery, featuring the works of prominent African and African American artists. With more than 50 cultural heritage sites, N.C.&apos;s capital city area is rich in African-American heritage with landmarks and markers in art, business, education, medicine, politics, religion and more.